I have naturally straight hair, but then again I also have a few little waves in my hair. I usually flat iron my hair to keep it all straight and tamed down. I was looking for a product that would kind of eliminate the use of my flat iron since its a bit rough on my hair. I came across this line of Herbal essence hair care and decided to give it a try. I must say I was really impressed. The price was great and I consider Herbal essence products to be high quality stuff! 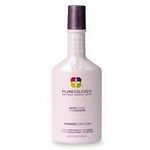 I loved the conditioner, it smells AMAZING, it is also very rich and creamy so only a little goes a long ways. I liked the shape of the bottles, they are very easy to handle in the shower without slipping out of my hand. The reason I only gave it 7 stars was because I did not notice much of a difference in my non straight parts of my hair. It was still wavy and I still had those annoying little fly away hairs. 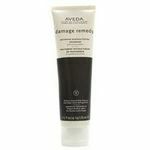 Effectiveness The conditioner itself is effective when it comes to moisturizing, it made my hair incredibly soft and silky. However, if you are looking to help straighten your hair, this product doesn't really do the trick. Scent I love the smell! From my experience no one can walk out the shower with ''dangerously straight'' hair so already the purpose of this product is questionable. Still, i wont stress on that major detail because it smells good. The softness it leaves isnt as long lasting as id like but atleast it smells good. This is the best conditioner for me so far. I tried many things, but nothing worked like this. This makes your hair staright and sometimes you dont even have to straighten after having bath. even though if you do.. just very little starightning is enough. I always use this conditioner and do very little starightning and may hair is done :) it says best to use with Herbal essense shampoo, but Herbal essence doent have dandruff control shampoo :( I wish they will have one soon. This will make your Hair shine and lively.. if your hair looks dull , try this it will fill your hair with life. And another good thing about this conditioner is it smells so good. my husband always feels like hugging me after using this. Overall this conditioner is best for you if your hair is wavy, frizzy and you want to make it straight.... it will do your job easy. I love this conditioner, I will always search for deals on this to buy in bulk. I have extremely wavy hair. I am always on the look out for hair products that say they can help straighten my hair. I don't have that much time to blow dry it and then straighten it. So any product that can give me a little boost and save some time I am all for it. 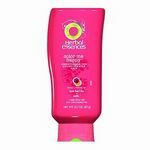 I have used Herbal Essences products in the past and I always like them. So, when I saw this one on the shelf, I figured that I would give it a chance. The price is great and it smells really good as well. Did it help straighten my wavy hair? Not so much. I used it for a few days without any change and figured that I should give it a week or two before throwing in the towel. After two weeks, I didn't notice any difference with my wavy hair. If it helped with straightening my hair, it was very little. Definitely not the dangerously straight I was anticapating. Although it didn't do what it said it would do, I was pleased that it didn't weigh my hair down like other conditioners. I have been in the market for a new shampoo conditioner for awhile. After using the same product for the last two years my hair needed a change. I have watched many commercials and seen many adds for hair products, and Herbel Essence does a good job of getting thier product noticed. When I found the Herbel Essence Dangerouly Straight Conditioner in my local grocery store isle I thought I would give it a try. I have a little bit of waive in my hair and thought that this conditioner would help to keep it straighter. The cost was great and I purchased the shampoo as well to make sure I would get the desired results. When using both the shampoo and conditioner I did not feel that my hair was any straighter, or stayed any straighter when I used the straight iron. That could just be Texas Humudity. Unfortunately I did notice that my hair seemed a little drier when using the product. My husband did not like it either. I did not finish the bottle, which should say alot. Herbal Essences has done it again! I have been a fan of the Herbal Essences line for a long, long time! Each and every one of their shampoos and conditioners smells heavenly and works beautifully! Herbal Essences Dangerously Straight Conditioner is no exeption! It smells like fresh flowers and yummy perfume! It makes your hair feel like and silk and it somehow keeps frizz at bay and makes hair straight and lovely. I don't know how they do it! It is worth every penny. And, it really is not that pricey. I would recommend this product to anyone who wants to control frizz and make their hair look straight and shiny. The smell alone is a good enough reason to buy this product! The smell is divine and lingers in your hair for hours. I got several compliments about my hair, the way it smelled and looked, when using this particular product. Herbal Essences is always in my shower. I love it! My husband always tells me my hair smells and looks good! I have three daughters with long hair and they love it, too! I have very curly medium coarse hair and usually flat irons my hair. After using the Herbal Essences Dangerously Straight conditioner, I have noticed that my hair looks even straighter than using other conditioners. As well, I've noticed less frizz when I straighten my hair with the flat iron. The smell of the shampoo is devine. It smells like just as it says it does; honey pear.The bottle itself says by using this product it will revive your hair's silkness and shine. As well it says it helps move it in a fine line (which kinda sounds weird to me but that might just be me hehehhe). the bottle also gives fun facts. For reference, I do use the Sedu 1 inch straightener and have been using if for almost 2 yrs now. Im not sure how well it would work with other flat irons but i suggest you give it a try. Also I do not blow dry my hair, I let it air dry so you'll probably even have better results if you do blow dry it. Got this Herb Essence product Fed Ex'd Monday to test for the manufacturer after I did a survey for long hair folks. I stated that many conditioners are oily, or too scented. I wanted a product that made my fine hair soft, lay straight & very shiny. Well, I got it with this product. The first time I used it, the comb slid right through my hair with no splits. Slept on it & no snarls the next morning. Even winter's cold wind gave me no snarls. As it states PIN STRAIGHT CONDITIONER. GREAT PRODUCT but costs twice what Tresseme Sleek & Smooth does. They also have shampoo with the same name. 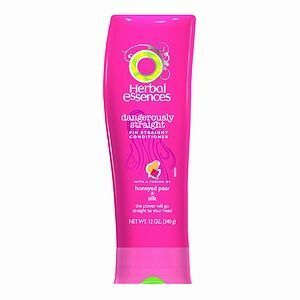 I love the light feel of **Herbal Essences Herbal Essence Dangerously Straight Conditioner** because it doesn't weigh your hair down like other conditioners and it really works great on improving the look of your hair. 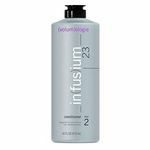 The conditioner works from the tips to your roots in moisturizing and straightening. I loved the shine it added to my hair, and it is great for those who have frizzy hair. The fragrance is light and sweet and it works great on any style of hair to make it look great. I love this conditioner. It is the only one I use. But for its purpose, helping to straighten hair, it doesn't do much at all. I'm multiracial and have to go through and hour and a half of blow-drying and straightening to get my hair straight and frizz free. I was hoping this conditioner (and it's shampoo counterpart) might help cut down on all the work. Just the shampoo and conditioner themselves do nothing to make my hair any straighter. However, this conditioner does leave my hair so very hydrated, soft, and tangle-free better than Pantene or even Aveda at a cost that is great!